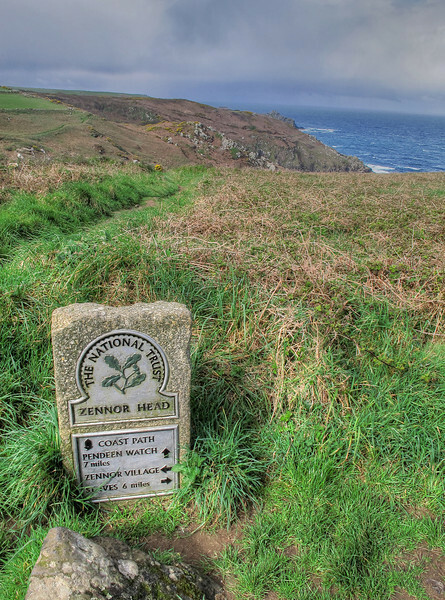 Southwest Coast Path Week 4. 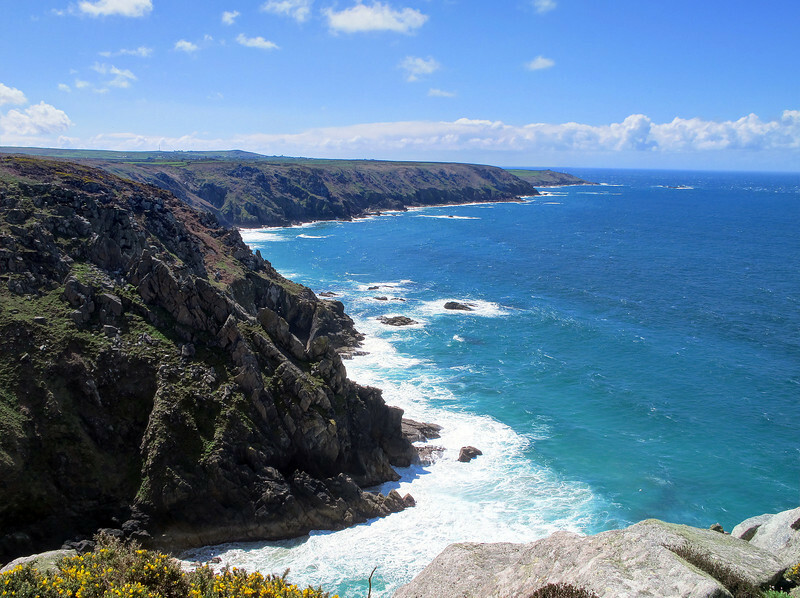 Day 2 - Zennor to Pendeen, 27 April 2013 Distance walked 6.9 miles Elevation gained 1842 feet Weather - mostly sunny with some clouds - breezy but warm. 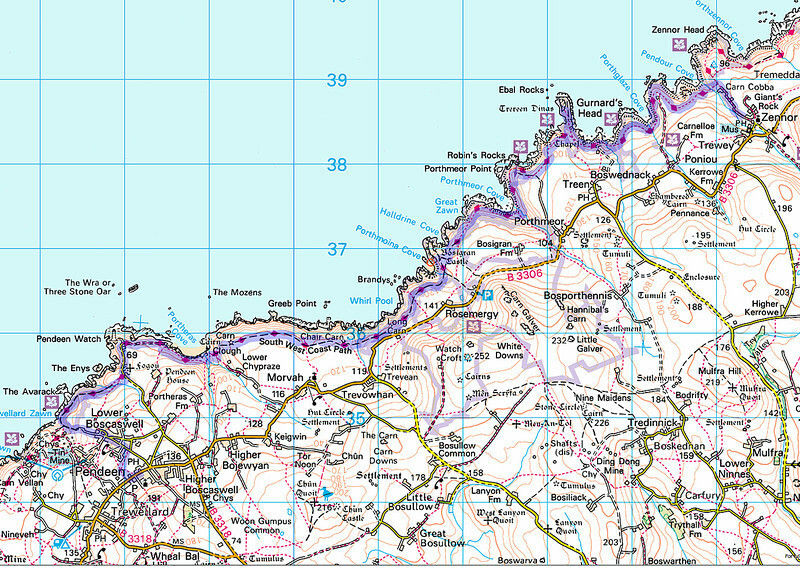 Today's route, from Zennor to Pendeen. An abandoned and ruined mining building near Lean Point, its rocks visible through the hole in the wall. 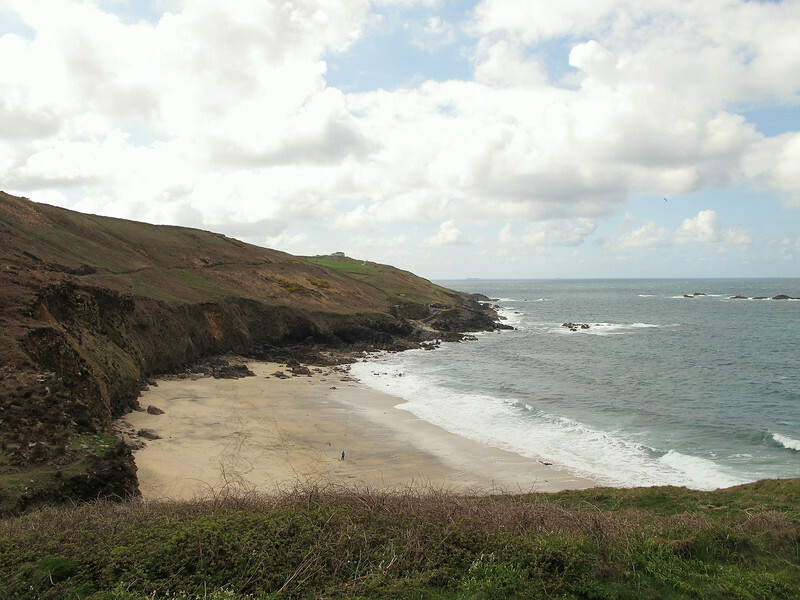 Looking back from Lean Point towards Boswednack Cliffs. 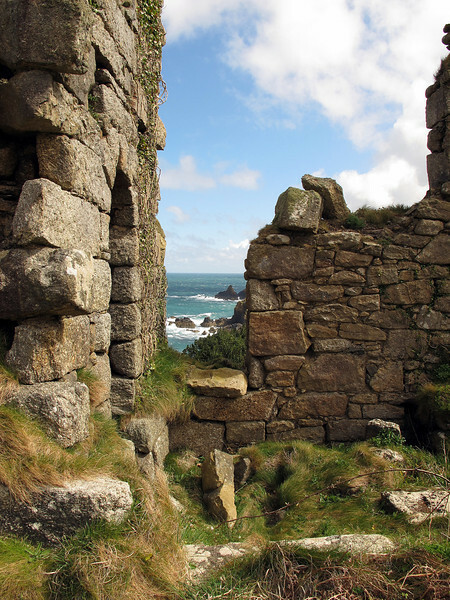 The house on the right, Cove Cottage, is utterly exposed, and it must be quite an exciting place to be on a stormy night! 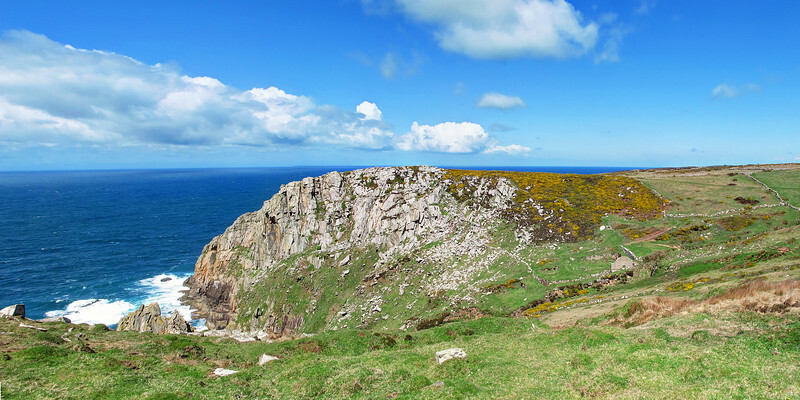 Looking back towards the mainland from the rugged Gurnards Head promontory. The view towards the Southwest from Gurnards Head. 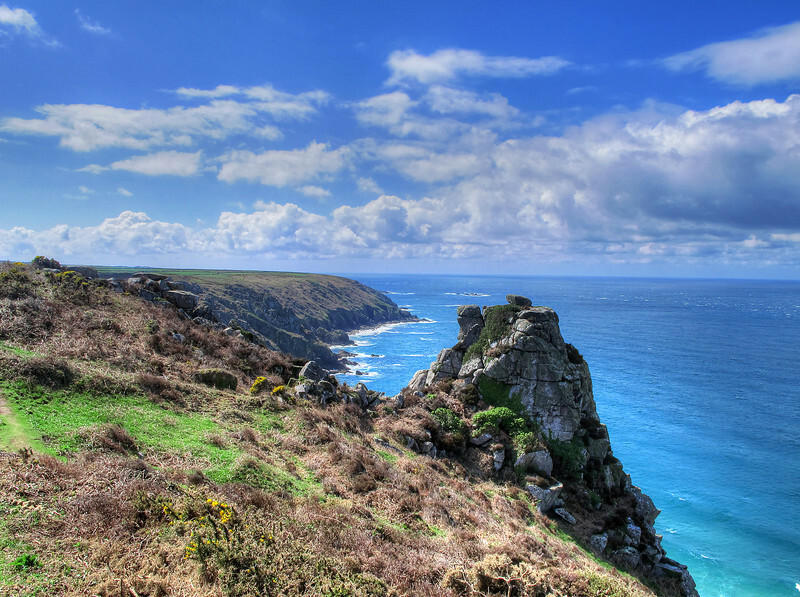 The distant headland on which stands a white lighthouse, just visible, is Pendeen Watch, the end of today's walk. 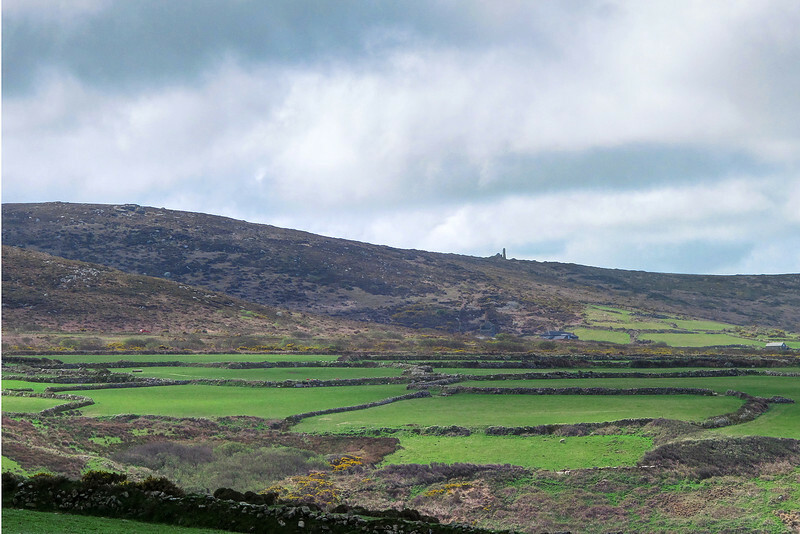 The small fields contained in stone walls in the foreground are thought to have originated in the Bronze Age, whereas the old engine house on top of the hill at Bosigran Farm is quite recent, dating from the 18-19th century. 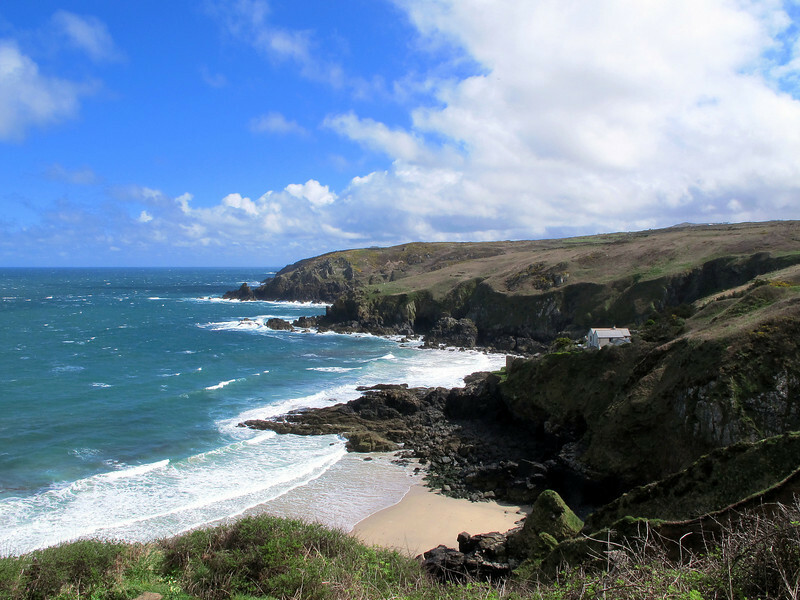 The view SW from Porthmeor Point on a glorious day. 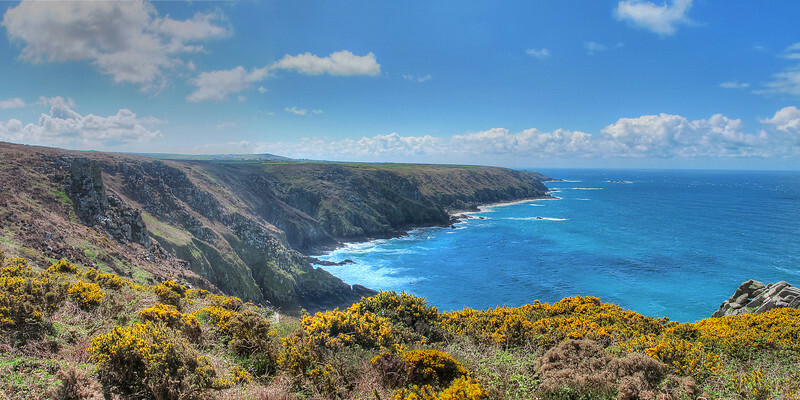 Pendeen Watch lighthouse on the far headland was built to protect mariners from the unforgiving rocky outcrops and cliffs along this stretch of coast. 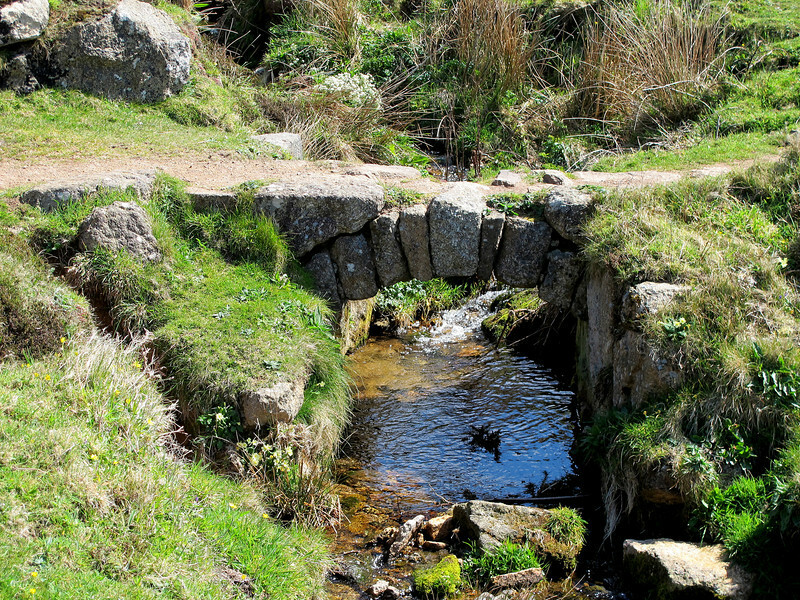 An old bridge probably built for miners to reach their workplaces along the rocky coastal paths. 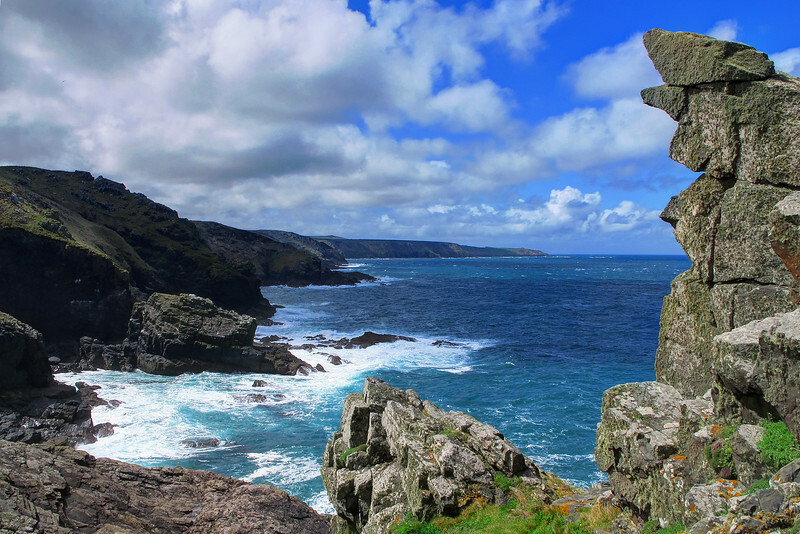 The cliffs at Bosigran. 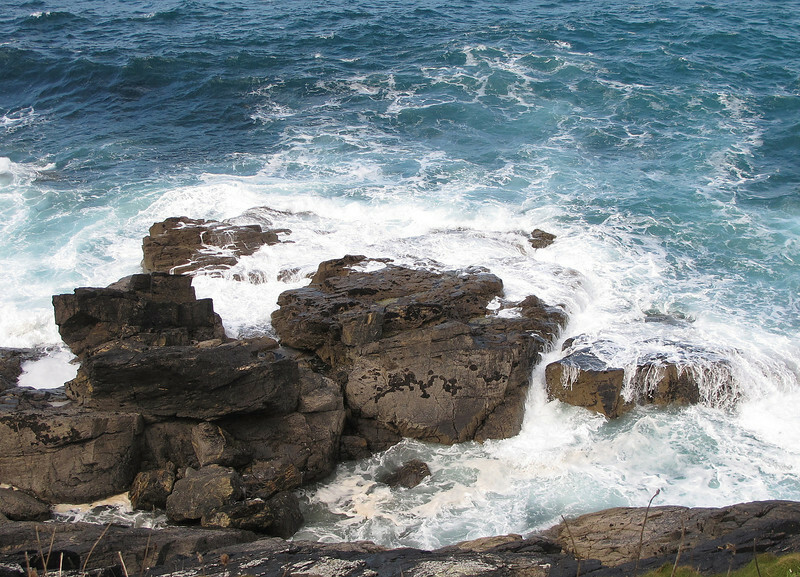 For an idea of their height two figures are standing on the cliff top just to the left of centre. The view from Long Carn westward across Whirl Pool. 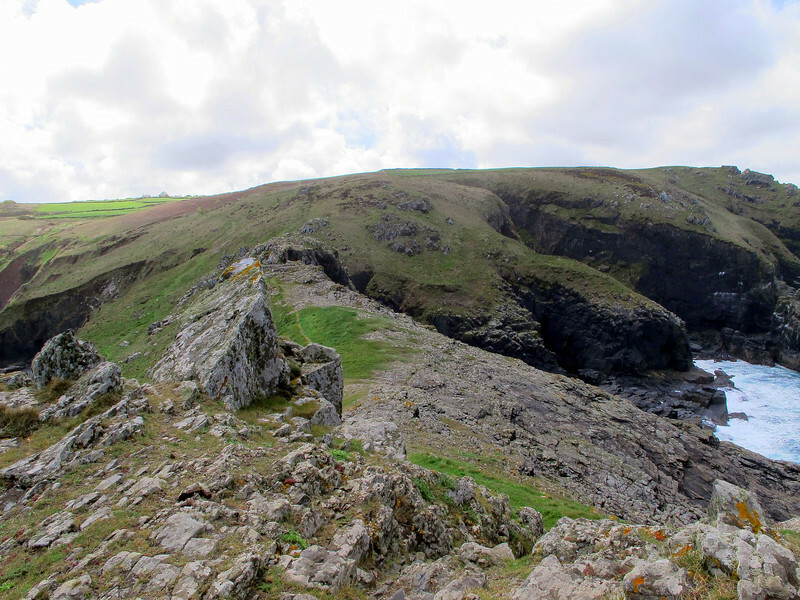 A typical granite outcrop, this one near Morvah. 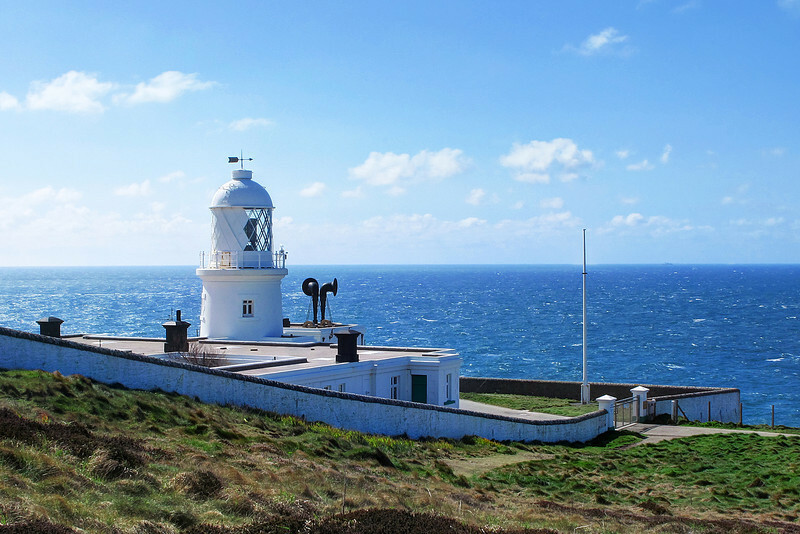 The lighthouse at Pendeen Watch. 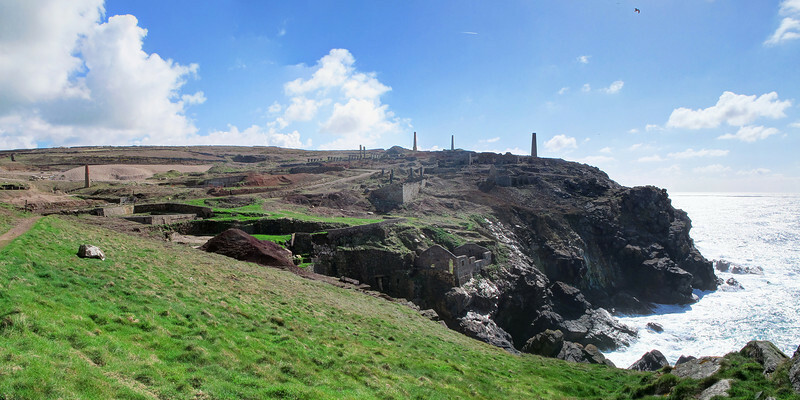 The Levant Tin Mine at Pendeen. 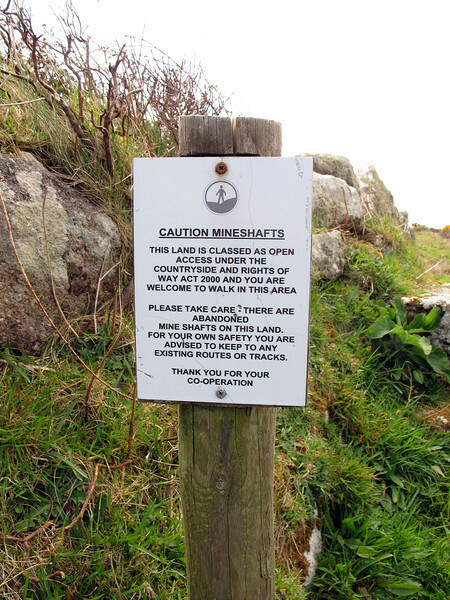 This has long been abandoned, a much more recent mine, Geevor, closer to the village was closed only a few years ago.